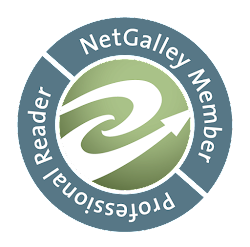 The goal of this challenge is to help each other (fellow readers and bloggers) manage our enormous and constantly growing TBR (To-Be-Read) List. The rules are simple and everyone is encouraged to participate. It does not force you to commit to more than what you can manage to read in a week or so, but participants are encouraged to read at least one book within a week. You are free to choose the book you want to read and commit to this challenge. You may post your entry every Saturday, at the frequency of your choice--EVERY WEEK or EVERY TWO WEEKS. 1. Post the book(s) you committed to read in your last TBR Intervention post and tell us something about it. Did you finish it? Did you enjoy it or not? Post the link to your review (if you have one). 2. Post a book that you want to read and already own. Pick something that has been sitting on your shelf for too long now (6 months or longer). Commit to read the book in the next couple of days or week. 3. Grab the TBR Intervention Button and post it on your blog sidebar so you will be constantly reminded of the challenge, making it easier for you to commit. This will also encourage other readers/bloggers/visitors to join the challenge. 4. Make sure to visit the other blogs. Comment, encourage, and spread the love to our fellow readers. The tragic mystery at the heart of their family has finally surfaced . . . When Presbyterian minister Ellen Wakefield O'Connor is confronted by a young man armed with a birth certificate that mistakenly names her as his mother, she quickly sorts out the truth: his birth mother listed Ellen on the certificate to cover up her own identity, but also because Ellen is, in a way, related to the child. The birth father is Ellen's troubled husband, Tom. The secrets of the past soon engulf Ellen, Tom, and everyone they love. This drama of love, loss, family and betrayal will capture readers with its unforgettable power. I cannot recall when I put this on my TBR so I figure it will be a good place to start. It sounds like it will be interesting. I cannot imagine how I would react if somebody came to me with a birth certificate that listed me as the mother, much less how I would react to find out my husband was the father. I am hoping it is as good as it sounds. What is your choice? Thanks to Ayanami, April and Dani for this awesome meme! Welcome to the challenge. I look forward to seeing what you think of The Year She Fell. I think this is the first time I have seen it. 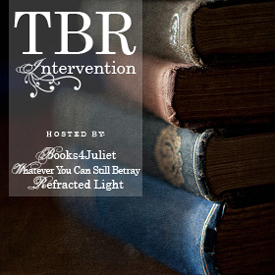 Welcome to TBR Intervention! This is the first time I've heard of this book. I look forward to hearing your thoughts on it! Welcome. First time I've seen this book, so my only thoughts are Happy Reading and hope you get to finish soon. I figure that any book on hand (whether it is on your official TBR or not) will work. I love the cover of that book. First of all, welcome to the challenge and thank you for participating! Your chosen book is way intriguing and I am curious on how they untangle the webs that each character wove. Thank you for participating in this meme. I am so HAPPY that you're now part of the TBRIC =) In behalf of Dani and Ayanami and the rest of the lovely ladies of TBR Intervention Challenge, wI want to welcome you! I hope you can join us every week for this event. You see, I had a difficult week and I wasn't so productive, but I'm glad that these girls are not going to kick me off =P lol! Good luck to us all and I hope it will be a better week for all of us. Hope you enjoy with the TBRIC! 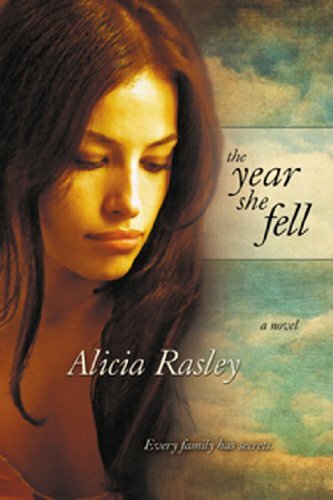 I've never heard about The year she fell, but the summary looks good. Good luck with your reading, and have a nice day! Wow. That sounds pretty intense. I can't wait to hear what you thought of it once you finish it! I hope you'll enjoy it. The premise is very interesting! Will be back next week to see how it turned out. HI! How are you??? So glad you could join the meme, and I hope it helps clear some books off your list. As for me, I keep visiting other people's TBR posts and ADD more books to my TBR... lol.